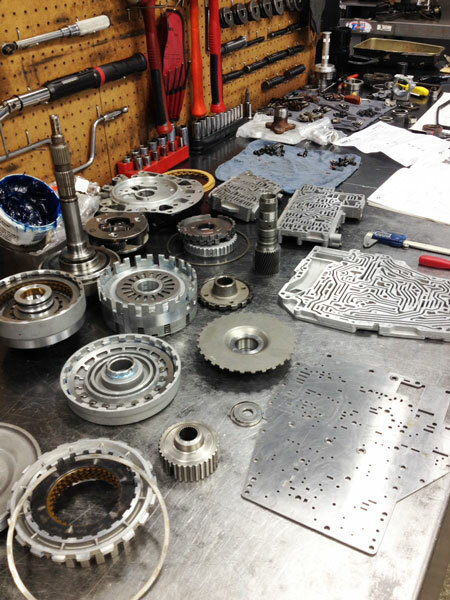 Omaha Transmission works on vehicles of all Makes and Models, from a 1956 T-Bird to the latest sports car on the market! We also specialize in commercial vehicles, snowplow trucks, street sweepers, and performance vehicles. Omaha Transmission provides free towing in the Omaha Metro area with repair jobs that exceed $1000. Average tow cost for repair jobs under $1000 is approximately $80. Omaha Transmission provides a 3 year/50,000 mile nationwide warranty that comes standard with all remanufactured automatic transmissions. Repairs for other components such as Differentials, Clutches, CV Axles and Electrical Components, mostly come with a 12 month warranty. Call for details, as different parts and manufacturers vary in warranty. Towing, Pick-Up and Delivery Service, Rental Car Assistance, Check Engine Lights, Engine and Transmission Mounts, Brake Pads and Rotors, Wheel Bearings and Hubs, Under Hood Repairs, Engine Replacement, Fluid Leaks, Squeaks and More.